A couple of my voice pupils who come from Bangkok have all got something in common… the withheld tone. You would wonder where this came from, right? Well, as I trained these pupils and continually assessed their progress, I realized their voices were particularly difficult to rebalance. And so I sat down with one of my students to dig up some voice history on them, and my findings are what have inspired this article. If you live in a large and noisy city, beware of what it can do to your voice. My student describes the sound of Bangkok as being a constant, never ending hum, no-matter what time of day it was, and as she was growing up in this noisy, vibrant city she began to develop a safety mechanism to cushion the blow when she spoke above the noise. The result over time was a shrilly withheld tone that was completely disconnected from her true voice, in that her vocal posture was not the same as it should be when you’re speaking comfortably. To give you an idea as to how this kind of safety mechanism kicks in, assuming you are an adult, try to speak like a child cartoon character and I’m sure you’ll get the picture. And while you’re at it, notice how with this affected tone, as it were, you will experience no pain or strain in your larynx. So this is how eventually, ones voice is altered from what it should be, to that which comes to the fore to help you cope with talking above the noise without straining the voice. But hey, you seriously cannot sing with this voice! And hence, the greatest challenge with rebalancing the voice is in trying to get the subject to do the vocal exercises in their chest voice upward. The voice is so far gone due to the way it has been used incorrectly over the years—AND from a very tender age—that the process of relearning takes a heck of a lot longer than the average person. And so if you come from a busy metropolis that never sleeps, and you’re experiencing similar issues with your voice, now you know what possibly went wrong and hopefully, you’ll be better informed to take the necessary steps to correcting your voice—like hiring a vocal coach! If you want to improve your singing voice, read my Vocal Training Product Review for Home Learning article in which I recommend vocal training programs that cover the entire spectrum in voice training to include: Pitch, Tone, Vocal Agility, Head Voice, High Notes, the Mix, Vibrato and MORE. Click Here! Vocal Coach & Author "Letters from a Vocal Coach"
Sing In A Choir? Be Careful They Don’t Destroy Your Voice! Of all the pupils that walk into my studio, the most difficult to crack are singers from local choirs. (I conduct one-on-one training sessions… I don’t train them in groups. And I have a valid reason, which I will explain later in this article). If you sing in a choir and find that oftentimes you lose your voice from all the hours you put in, coupled with the inherent pain inflicted on your vocal chords from incorrect use, then this article will aim to explain why you’re experiencing such adverse effects from singing and what you can do to remedy that. Devout choir members spend a lot of time in practice and even more time performing at mass. One thing they all seem to have in common is incorrect vocal posture—which if they had corrected and rebalanced, it would allow them to sing with absolute freedom and with no pain or strain whatsoever—suffice to say, the best place to butcher your voice is when you sing in a choir. And no, I’m not trying to be nasty. This is the gospel truth—if you will excuse the pun—from my observation over the years in training singers who come from churches and choirs. You’ll be surprised to discover that this phenomenon rings true in every sense of the word, and I will try to elaborate a bit more on this with a couple of real life scenarios. To begin with, the group environment in which they practice and the allotment of particular voice types by choir leaders is perhaps the main culprit. Now add to this the lack of vocal training, and you have a monumental recipe for disaster. And this is why I only train one person at a time. Groups tend to put you in position where you feel drowned by all the other voices and this triggers the tendency to overexert yourself to be heard, thereby inflicting sometimes irreparable damage to your vocals chords. I’ve received and trained choir members that come to my studio with vocals that are not quite their true voice… not by any stretch of the imagination, and worse yet, due to incorrect use of their voices for so many years, rebalancing in training takes a lot of work. Commonly, working with them on the scales proves significantly difficult due to the constant tendency—perpetuated over the years—to shout and to corrode the vocal chords when they sing. Can this be fixed? Yes, but over time and by taking baby steps. The very first way to fix the problem is to get some voice training to rebalance the voice. Do a few scales a day, incorporating the lip rolls, tongue trills and humming to realign your voice to a speech level singing vocal posture. If you’re working with a vocal coach, they’ll help you evaluate your progress. However, if you’re doing this on your own—training from home, make sure you follow instructions to the letter and do your best to evaluate your own progress. Airtel Trace Music Star Season 2 Underway: Up for the Challenge? 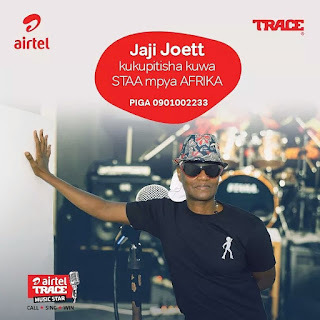 It's another season for Airtel Trace Music Star and in Tanzania—particularly, the word is OUT exclusively via social media. I’m sitting on the judge panel again this season, sifting through all the Tanzania entries along with my fellow judges Jokate and Lucci, and with every sitting, we’re seeing more and more potential stars. It is quite amazing how much talent there is hidden out there. And this is one of the reasons I am so passionate about this event—I mean, look at last year’s pan African winner, Mayunga. If I’m honest, Tanzania has every chance of winning the pan African competition again this year, and this is why I want you to know what we expect of you in order for you to make the grade for Tanzania’s Top 5 this season. First and foremost we’re looking for real talent. And what I am looking for especially is a voice that can be molded from zero to pro in 10 hours, before they hit the stage to compete at the Tanzania Grand Finale. I will explain so this is succinctly clear: If your voice has major issues like, you’re prone to shouting; your placement isn’t right and so forth, and I think I cannot break you in 10 hours… then you’re not what I’m looking for. Just so you know. 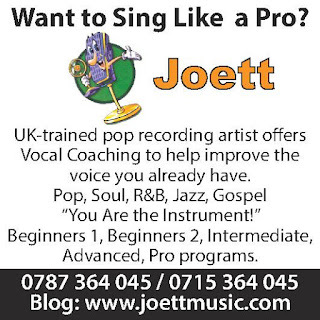 And I’m a fair person, so I will give you a couple of tips on how to refine your voice for the challenge. I have noticed something very interesting about some multiple entries, where a contestant would sing a bongo flava song and NOT make the grade for selection into the top ten, but when that same individual makes another entry with an international song, suddenly, they sound amazing and they are selected into the top 10 that week. This can only mean one thing… that this is a singing competition. So it is imperative that you select a song that will showcase your true potential as a singer. Don’t worry too much about being unable to hit certain notes, let me be the judge of that. If you’ve got talent, I can fix your voice in training. And speaking of training, as I did last year, I will be coaching the Top 5 this year as well—at no cost to you. It’s free. 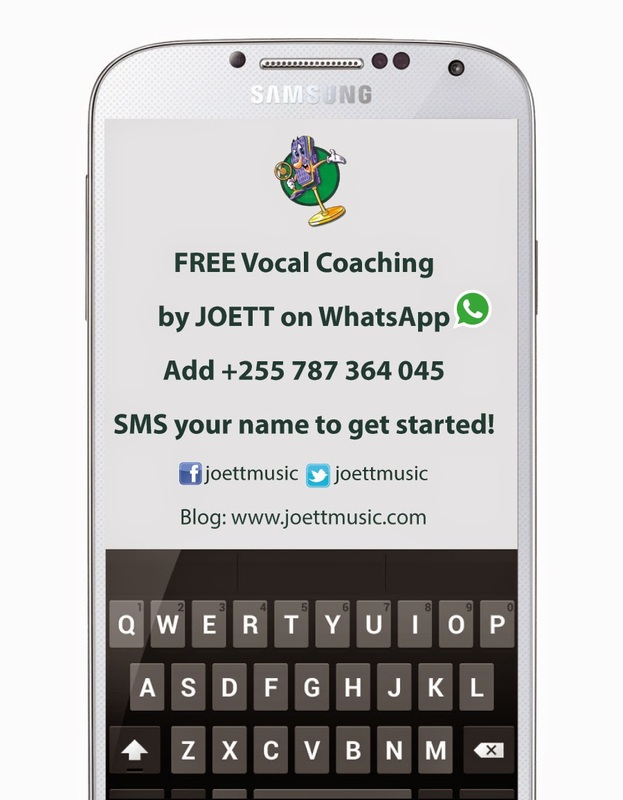 If you would like a little online vocal coaching before you make your Airtel Trace Music Star submissions, I have published a rather interesting article in Kiswahili on my blog, “Mpangilio Maalum wa Kujifunza Kuimba na Joett Kupitia WhatsApp.” I wish you the very best. Nimetoa mafunzo kwa jamii bila gharama yeyote kupitia WhatsApp kwa kipindi kirefu sasa. Na changamoto zipo, ndio maana imebidi mara kwa mara kubadili mfumo ili kuboresha huduma hii. Jambo la muhimu kabisa ni kufanya mazoezi kwa mpangilio ambao utaleta mafanikio kwako. Kujifunza wewe mwenyewe nyumbani sio jambo rahisi. 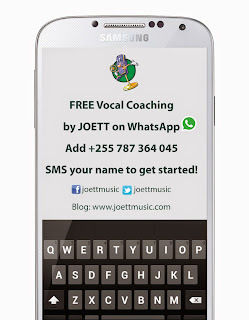 Inataka kujituma, na pia wewe mwenyewe unahitaji kutuma mazoezi yako kwangu kwa Voice Note kupitia WhatsApp, ili niweze kusikia na kutoa muongozo na ushauri. Kama unataka kujifunza kuimba, hili jambo ni muhimu sana, kwahivyo tafadhali usipuuzie. Kwa wanafunzi wangu ambao wanalipa ada na kuja studio kwa mafunzo, kuna tofauti kubwa sana kwasababu mimi nipo hapo kusimamia kila zoezi wanalofanya. PUMZI ndio zoezi la kwanza na la muhimu kabisa kabla ya kufanya zoezi la sauti (yaani scales). Unaweza ku-download mp3 ya Breathing Exercise kwenye kurasa langu la Hulkshare hapa. Zingatia unafanya pumzi yako kimya kimya. Kwenye mp3 sauti ni kubwa kwasababu ya kipaaza sauti ambacho kina nasa na kukuza sauti. ZOEZI la sauti ambalo ni muhimu kabisa kuanza nalo ni la 5 Minute Lip Rolls with Joett. Fuata maelekezo alafu ufanye zoezi hilo. Ukishaona unaliwezea, jirekodi unitumie WhatsApp nisikie na niweze kutoa ushauri. Baada ya hapo, nitakupa ushauri zoezi gani lingine ufanye ili kuboresha sauti yako. Tafadhali usikurupuke na kufanya zoezi lolote tu bila ushauri. Badala ya kujijenga, utakua unabomoa. Video ifuatayo ni mfano wa zoezi la Lip Rolls. Angalia ili uelewe jinsi ya kufanya zoezi la 5 Minute Lip Rolls with Joett kwa kutumia mp3 toka kurassa langu la Hulkshare. Tafadhali tumia computer ku-download mp3, halafu burn kwenye CD, na baadae tumia CD player kufanyia mazoezi. Usitumie sauti ya simu wala headset ya simu kufanya mazoezi ya sauti kwasababu sauti ya simu haitoshi... kwa maana hailingani na ya binaadamu. Ni hafifu sana. Matokeo yake, sauti yako pia itakua hafifu na isiyo na mvuto wala ladha yeyote. Nimeweka mifano mingi kama Joett Studio Session (for reference only), na Joett Case Study #7a kwenye kurasa langu la Hulkshare kutoka madarasa ninayotoa studio, ili kukuwezesha wewe kuelewa zaidi madhumuni ya vocal training. Sikiliza ili uelimike. Wewe ndio chombo halisi, jifunze kuimba kama pro! If you have struggled with practicing your singing, in that you’re not actually getting the desired results but instead, only hurting your voice—well, there is an explanation. This article will aim to point out to you 3 of the worst places to practice your singing. Yes, it’s that simple. When you know where these places are and why they don’t work, you’ll have all the information you need to make the necessary changes to where you practice your singing. Absolutely don’t go there! Why? Because the wind will carry away your voice and you won’t even hear yourself. Result? You will shout and keep on shouting and you will be achieving nothing but pain in the throat—oh, and you might even lose your voice while you’re at it. You’d be better off inside a room with minimal furniture for better acoustics. This is just as bad as going to yell your lungs out at the beach, not to mention the possibility of you being bitten by something nasty in the bushes. Please refrain from this practice. Trust me, you will achieve absolutely nothing. Well, imagine this. Singing inside a padded room like a recording studio—minus the headset, of course—and here’s what happens. Your voice is absorbed into the padding and the end result is you will hardly hear yourself unless you shout, thereby inflicting pain upon the very instrument you so desperately need to sing. Actually, the same applies when you’re cooped up inside a small room practicing your songs with the band playing at full blast. I’ve seen this destroy many fine voices. The human voice cannot compete with the noise of the speakers, so make sure you balance the sound properly so that your voice isn’t taxed and damaged in the process. In Summary: the beach, open spaces and padded rooms are the worst places to practice your singing. If you want the right balance, sing inside a room with minimal furniture for that desired acoustic effect—you’ll want to hear yourself. Period! And if you’re practicing with a band, make sure the sound is properly balanced. I have stepped into a room where a band was rehearsing and I was shocked at the noise factor. The first thing I advised was that they turned it down. 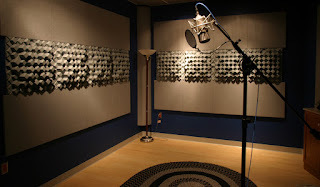 The beauty of pre-recorded vocal training programs is the convenience and affordability of it, not to mention they actually give you a workout regimen to follow, that takes away even the need to think and plan—because it’s all there set up and ready to go in a sequence that brings about results. However, there are pitfalls to be stumbled upon no doubt, and this is what has inspired me to write this article. 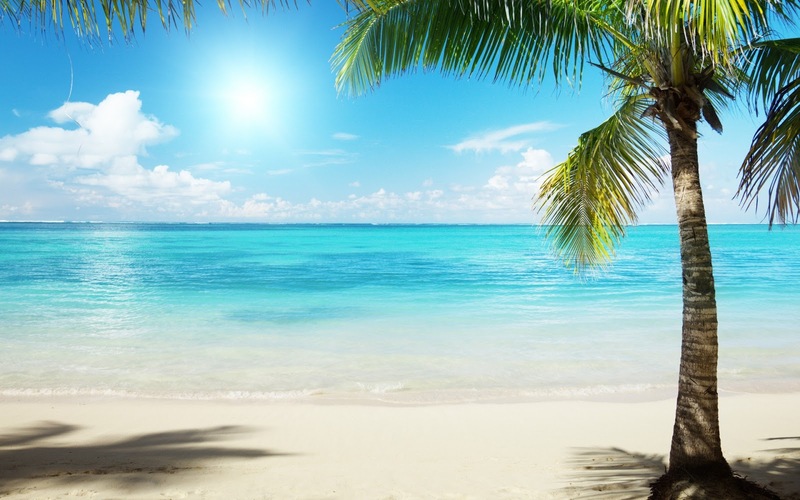 I want to talk a little bit about WHY people fail to get it right when going it alone, and the best ways to stay on the straight and narrow to help you circumvent the stumbling blocks. The key is to listen. Listen to the examples, listen to the piano and listen to yourself. I’ve witnessed too often how overzealous some people are. Not only do they not pay any attention to instruction, they don’t even bother to listen to the piano... which means they sing off key and do whatever the heck they like, absolutely contrary to what’s on the tape. Now this sort of conduct gets you nowhere. You will learn nothing. You may as well forget about vocal training and choose another vocation or hobby. Now I’ve mentioned the 3 Ls. 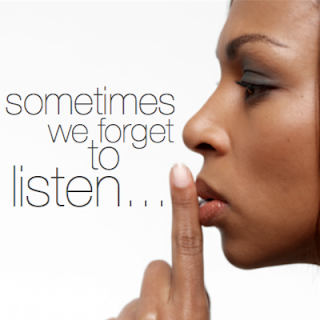 Listen, Listen and Listen! You’re not only training your voice here, you’re also training your ear. So if you don’t listen to examples; if you don’t listen to the piano; there is no way your voice will work in key with the music. Am I making any sense? Someone submitted a tape via WhatsApp today wherein they breathe in-between a scale—when the example given isn’t at all like that, it illustrates a single breath intake for the entire scale—the result, as I listened to this astonishing recording, was a series of off notes, off key deliveries, and exercises being done not in accordance with the pattern of the piano. It’s like they quickly invented their own thing for their own convenience and threw that into a vocal workout that is destined to have them fail miserably. In Summary: Not listening to demonstrations and not planning your vocal workouts in accordance with what has clearly been spelt out to you, is planning to fail. Time isn’t going anywhere. If it is going to take you a week just to listen to tapes to figure out what you need to do to get it right, then so be it! It would be a lot wiser than rushing into it. There’s no hurry. Take your time. Aim to get it right. And you will become a better singer.